Savills Research and Consultancy in their Quarter 4 sales briefing on Singapore Residential Sales Briefing said that that non-Singaporean buyers purchased 1,324 non-landed private residential units in Quarter 4. 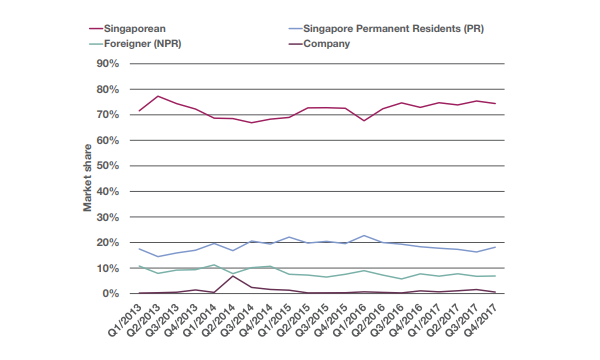 The non-Singaporeans’ (who included permanent residents and foreigners), transaction volume inched down 0.7 percent quarter-on-quarter but their market share increased by 2.0 percent quarter-on-quarter (QoQ) to 25 percent. 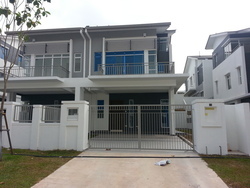 Pointing to a check of caveats downloaded from the URA’s Realis, Savills said that top foreign buyers came from China, Malaysia, India and Indonesia, and acquired a total of 869 units. In addition, foreigners that did not specify their nationalities also bought 173 units in the reviewed quarter. “The return in buying interest may overwhelm the slate of new launches this year leading to an over-spill in demand for resale properties,” it added. The report also forecasted a 12 – 15 percent year-on-year price increase in the non-landed private residential property market. Previous reports have suggested that foreign funds (especially from China) are driving up en-bloc sale prices to new heights. It remains unclear if the price increases in the private residential property market will have a knock-on effect in the public housing market. The post Non-Singaporeans accounted for 25 percent of private residential sales appeared first on iCompareLoan Resources.